Revolutionary SDS Secure Dumbell System construction. Contoured hard-chrome handle. 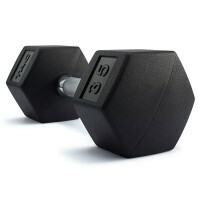 Patented ultrathane adds to the look and life of your dumbbells. 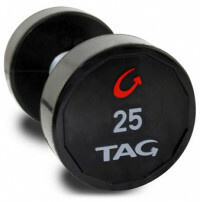 One-piece solid cast and steel head designed encased in ultrathane offers accurate weight and precision balance. Will not spin or come loose like bulky bolt-together dumbbells. Compact design makes SDS dumbbells much easier and safer to handle. Available from 5-150lbs in 5lb increments and 7.5-27.5lb half-size increments. 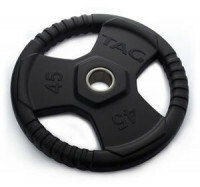 Newly designed for 2011, Precision casted and encased in non-porous, commercial-grade premium Ultrathane coating; will not crack or fade, prevents damage to floors and equipment, One-piece solid cast head design encased in Ultrathane offers accurate weight and precision balance, Hardened chrome 32mm round handels prevent flaking and provide comfort in use.